Just a few words... of such great power. When I read it, those six words arrowed straight to my heart. I wanted to ponder them. 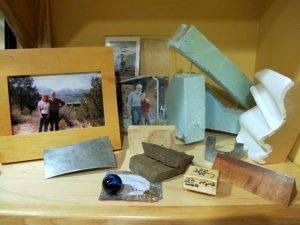 But my birthday fell in the midst of the final crazy weeks of organizing, downsizing, packing and clearing out of Terraphilia, the beautiful, sculptural house built by my late love (and finished by me, with the help of friends) and Richard's tool-filled historic studio. Time to think about happiness and courage will come after I get moved and settled, I told myself. Only moving happened in a whoosh just before the sale closed on October 9th, after which I got into my car and headed for Kansas City to present at the 2013 Women Writing the West Conference. It's 702 miles from Salida to the Embassy Suites in Kansas City (Missouri) where the conference was held. I imagined that long transit across the Plains would give me plenty of time to think. 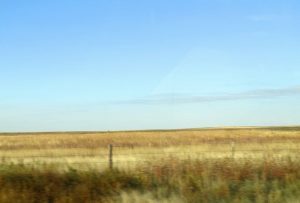 Only I was so exhausted that I just watched the landscape change from mountains to foothills to high plains to prairie mixed with fields irrigated by huge center-pivot sprinklers to farms with only occasional patches of prairie to woods, and finally to the two cities split by the wide Missouri River. Before I knew it, it was time to climb into my car and head back west again. On the drive home I'll have time to think, I assured myself. I did. 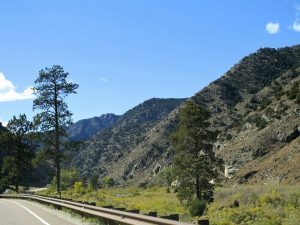 But nothing particularly coherent came of the electrical activity in my brain until about an hour from home when I swung into the familiar curves where the highway follows the Arkansas River Canyon into the mountains. "Home," I realized with something of a shock, was no longer Terraphilia, the house where Richard and I had planned to spend the rest of our days. I would never again drive up Third Street, round the corner, punch the garage-door opener and back into the garage next to Richard's studio. Home now lay on a different street. At Creek House, where I would form the new pattern for the rest of my life. Without the man I lived with and loved for almost 29 years. That's when the quote came back to mind: Happiness is another form of courage. I often say that I chose to be happy, regardless. I love life and long ago vowed to not take it for granted. The shock of accompanying my rudely healthy, vital husband through his death from brain cancer at age 61 is an indelible reminder that life is a gift, not a given. Courage comes from the heart. Literally as well as metaphorically, since the word stems from the Latin cor, for heart. It takes courage to choose happiness in the face of the hard stuff life brings. Just as it takes courage to live fully through that same hard stuff. But what other choice is there, really? Living without happiness, just like living without being present, is not really living. It's merely existing. I choose life. Even with the grief that hit me on arriving home. To my new house, alone. I'd rather feel--and thus be able to choose happiness--than not feel at all. If that's courage, I'll take it. 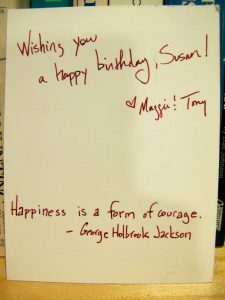 I was tired last night when I wrote this post, and forgot to mention my blogging/writing friend Susan Tomlinson's recent post on Joy and Courage. It's worth the read. Everything Susan writes is.